An Expedition into “The Myall Lakes National Park” – Gramastacus crayfish and Amphipods – and watching the dingo on my back trail! I was surveying freshwater crayfish in the Myall National Park the other day and spent the day hiking by myself up the old Hawks Nest Seals Rocks Road and surveying the surrounding swamps. 20 years ago I used to drive this road and it was potholed then. Now it’s all a National Park and closed to vehicles and heavily overgrown in sections and still quite good in other sections. 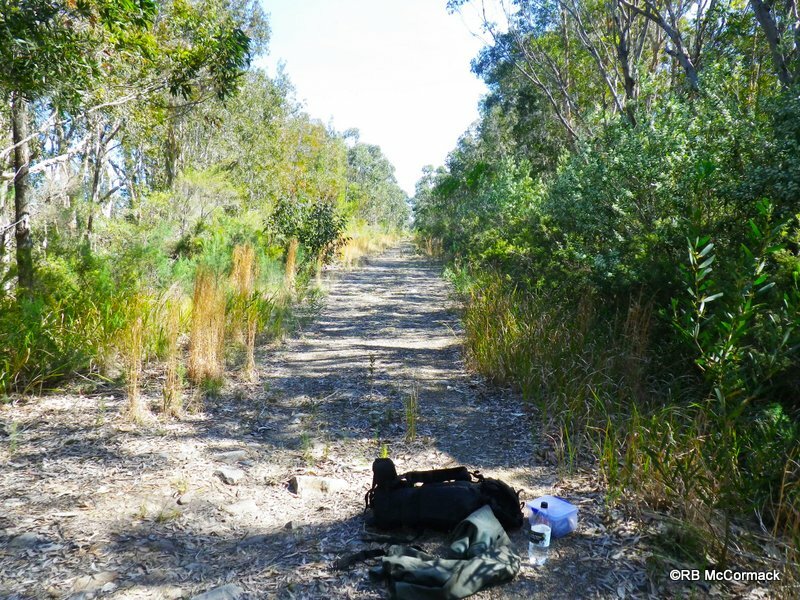 I think it’s an old mining road that is a raised, rocky road through the centre of the Myall swamps. 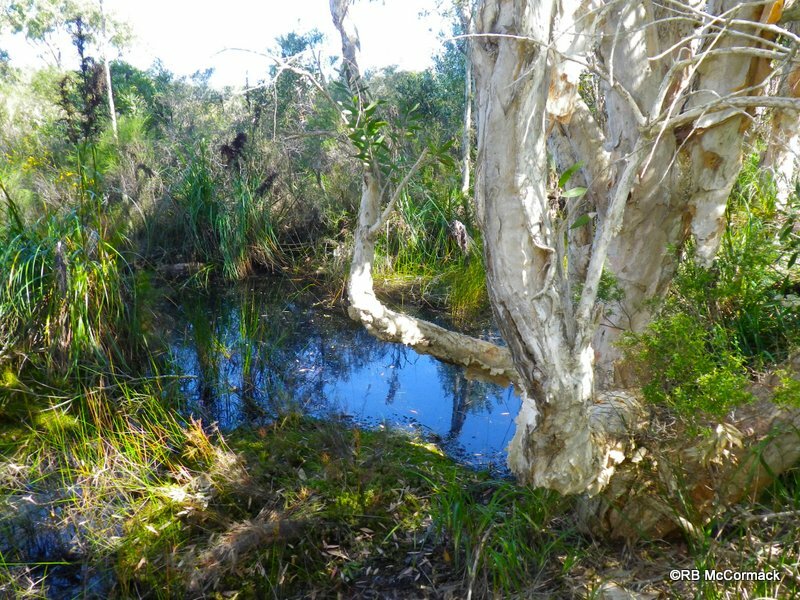 Either side on the road is wet swampy areas that are impenetrable, reeds, saw grass, tee trees, paperbarks and swamp banksias, etc. The procedure was to hike along the road and stop every kilometre or so, put on my waders and wander into the swamp to sample the aquatic fauna. I’d stop on the road, drop my pack, take off my hiking boots and put on my waders, grab my scoop net and bash my way through the scrub and scoop the underlying swamps. At the second site about 2 km in I noticed a large dingo about 50 metres up the track watching me. For the next several hours this large dingo just kept following me along the road always staying 50-100 m back. The track was alive with other life, mostly birds, the odd lace monitor and occasional snake. At the 7 km mark the dingo was still there and again I put on the waders, bashed about 6 mtrs off the road into the wetland and scooped the shallow water. All up less than 5 minutes scooping then back to the road to sort the catch, I would see what I had then take the tadpoles and macro inverts back and release them. As I climbed back onto the old road I looked back for my dingo and couldn’t see him, not a worry as he was a sneaky critter and liked to hide just peeping out to watch me. Anyway, I sat down on the road to sort the catch and glanced up the road in the direction I was heading and with a start there was my mate the dingo. The sneaky critter had passed me within 7 mtrs and I never saw or heard anything. It was a relief to have him in front as hiking along and watching my back trail was a hassle. For the next kilometre I followed him, then he disappeared and just before the 9km mark I saw him way in the distance heading north. The crayfish were restricted to the smaller pools that still retained water as the swamps were drying out. 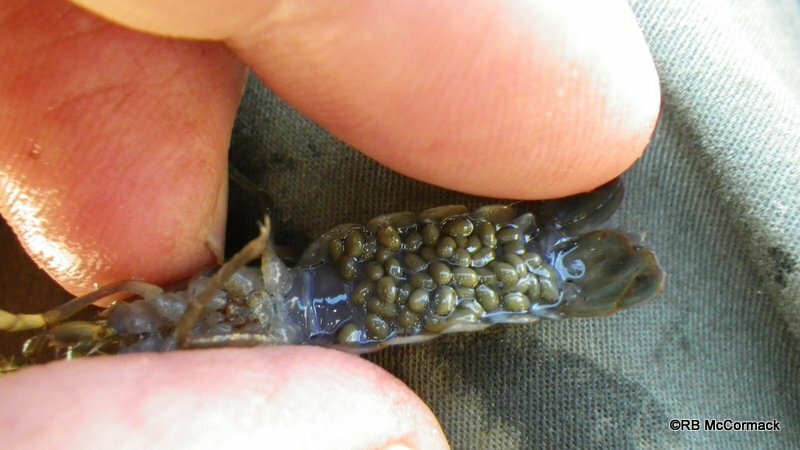 Many of the Gramastacus crayfish were in berry. They are a small species and females with eggs weigh in at only 1.73 grams. Much of the Myall freshwater swamps have large sphagnum moss areas and I was scooping the sphagnum looking for the freshwater crayfish that hide in it and was surprised by the large number of amphipods that were also hiding in the moss. 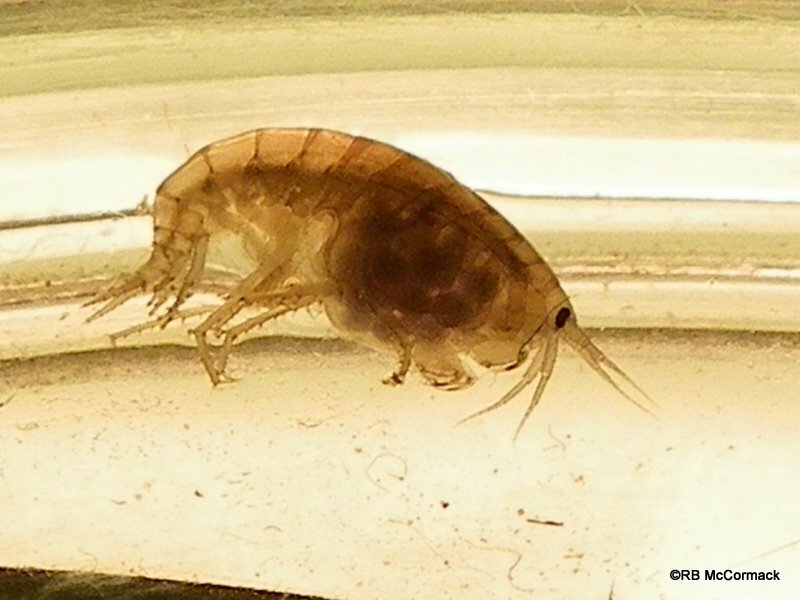 Most of the larger female amphipods were also in berry with the eggs tucked up under the carapace between their legs. I don’t know the genus but they had very large gnathopods and very spiny legs. Perhaps sometime in the future I will identify the species. If anyone knows amphipods and can identify them please let me know.